2011 Horizon Award - Award of Distinction - New ConstructionCity of Seminole Public Works & Operations Buildings, Seminole, Florida - Mason Blau and Associates, Inc. 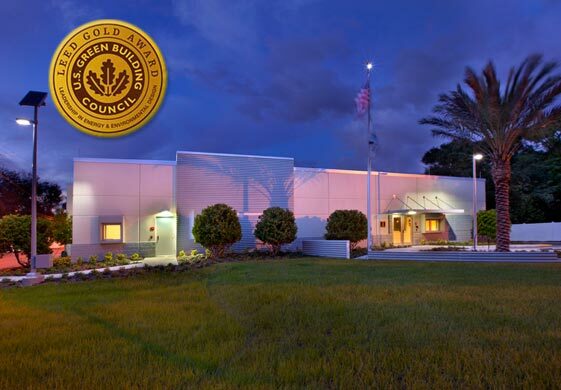 The Associated General Contractors of Greater Florida, Inc. has awarded the 2011 Horizon Award – Award of Distinction for New Construction, to Bitmore Construction for the City of Seminole Public Works & Operations Buildings. MBA was the project architect and responsible for the building design.